There is no amount of space big enough to hold our fears right now. They just took Reese back for emergency surgery to remove the blood pooling outside her brain again. They feel she may have a bigger issue that needs to be looked at so tomorrow’s epilepsy surgery is postponed. 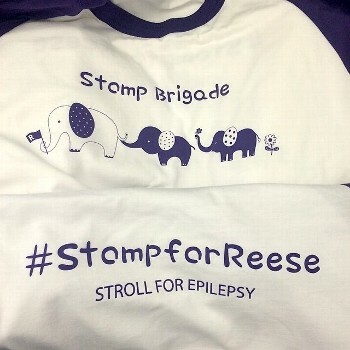 This is not a good thing for Reese because the timing of all this was orchestrated perfectly to avoid unnecessary seizures. We are trying to hold on to our trust in the doctors and in our hearts where we know she is such a fighter she is going to beat all this. She is most definitely on a VIP track around here. Our doctors have a plan and we are doing all we can to challenge them, question them, and look out for her needs to make sure nothing is missed. They will stop the bleeding, take out the grids and close her up to allow her brain to rest and heal. There is no way of knowing if anything has happened to her brain right now. The seizure activity has been very active, they believe that is due in part to the extra blood and the pressure. She just needs to rest and the time will allow her brain to get settled. Having the grids in always had a risk of upsetting the brain, there was just no way of knowing how much. At least she won’t have to deal with the cords coming out of her skull anymore. That is done, forever. We have been so prepared and strong through this whole thing but this was not a scenario we could bring ourselves to prepare for I guess. It’s heart breaking. We are with our parents and we will let you know when there is more to share. I suspect 3-4 hours for this operation and then we will be back in ICU. Please be patient if you don’t hear from us. This place is a black hole, time is lost and you get lost in the absence of the world. It’s been so unreal, this whole ordeal is really unfathomable. Even in the moment, I stand here wondering if it’s really happening.